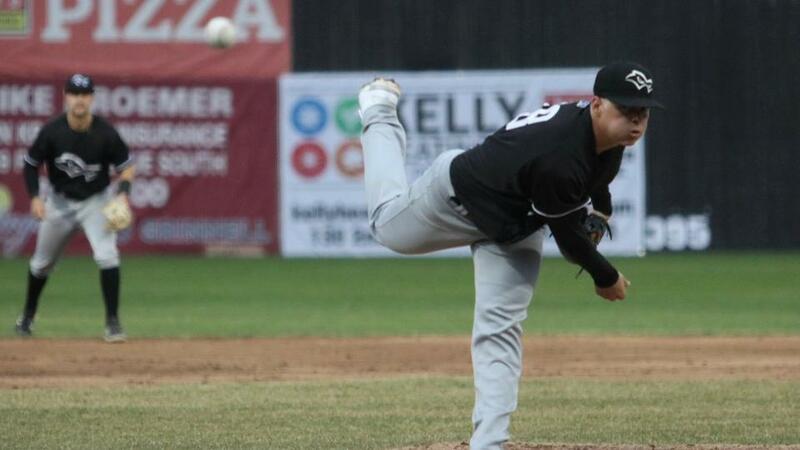 Austin Hansen and Shawn Dubin combined to strike out 20 Clinton LumberKings hitters as the Quad Cities River Bandits picked up a 2-0 win at Clinton's Ashford University Field on Tuesday night. The two right-handers allowed a combined six hits and did not walk a batter. The shutout win was the first of the year for the Bandits. The River Bandits (3-3) didn't wait long to score the only run necessary, getting on the board in the second inning. Scott Schreiber rolled a base hit up the middle to open the frame. He was able to move up 90 feet when Marty Costes also punched a single into center field. After a wild pitch allowed the runners to advance to second and third, Andy Pineda put the Bandits on top with a sacrifice fly to left field. In the next inning, the Bandits doubled their lead. Trey Dawson lined a single into center field to get the inning started, but was promptly caught stealing second. Ross Adolph followed by working a walk and then raced all the way around the bases to score on a triple into the left field corner by Jeremy Pena. Pena's second RBI of the season made it 2-0. The offense couldn't push anything else across, but it didn't matter because of the work on the mound. Hansen, the starter, turned in 5.0 shutout innings and struck out a career-high 11 batters. Dubin followed with 4.0 innings out of the bullpen, striking out a career-high nine and surrendering four hits. The 20 strikeouts were the most for the River Bandits in a game since April 27 of last season. Clinton (2-4) loaded the bases on three consecutive singles in the bottom of the ninth, but Dubin closed the door with a pop out to short and a strikeout to secure the win. Costes and Dawson led the River Bandits offensively with two hits each. Bubba Hollins registered two hits for Clinton. He was the only LumberKing to register a hit before the sixth inning. The four-game set between the teams continues on Wednesday at 6:30 p.m. RHP Nivaldo Rodriguez (1-0, 0.00) will make his second start of the season for the River Bandits. Clinton counters with RHP Josh Roberson (1-0, 0.00).